While seven in 10 (71%) Indians have used milk at least on one occasion in from March to May 2018, only 59% associate milk with being healthy and 37% perceive milk to be a high source of calcium, according to Mintel. The survey was conducted on 2,206 Indian adults aged 18 years and above who have drank milk/flavored milk drinks. Moreover, about 61% of Indians are trying to eat more protein, but 39% perceive milk to be a high source of protein. Today’s consumers are pursuing healthier lifestyles and adopting diets that are beneficial to their overall wellbeing. Although Indian consumers may not fully recognize milk’s health benefits, it seems they are open to support their healthier lifestyles with their glass of milk. About 26% of regular milk drinkers in India are looking for milk with added nutrition (calcium, protein, vitamins), while 22% are seeking milk offerings that provide specific health benefits (heart and bone health). “Amidst reports on adulteration (such as the inclusion of ingredients with the likes of detergent and paint) consumers no longer see the value regular milk can provide them,” said Natasha Kumar, food and drink analyst, India. In light of consumer demand, there is a call for dairy brands to focus on ethical and environmental claims. 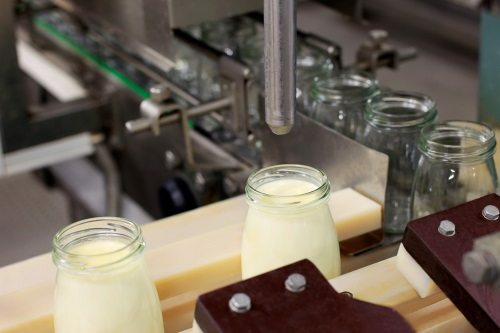 According to Mintel Global New Products Database (GNPD), there has been a steady decline in ethical and environmental claims in the milk and flavored milk categories. In 2018, about 45% of milk and flavored milk launches in India carried ethical-environmental claims. In comparison, 52% of Indian milk and flavored milk products launched in 2016 carried ethical-environmental claims. Highlighting the demand for eco-friendly milk, 29% of Indian consumers say that they actively look for ethical claims or seals on packaged food or drink product labels. Building on this, 15% of milk drinkers in India have expressed their concerns around the welfare of dairy animals. “Dairy brands that effectively communicate their environmental and animal welfare credentials can potentially reap the benefits from people’s changing priorities,” said Kumar. About 23% of regular milk drinkers in India have drunk packaged flavored milk in from March to May 2018. Of these flavored milk drinkers, a significant portion drink flavored milk for emotional reasons; some 30% consume flavored milk as a treat, while 27% do so to satisfy a sweet craving. Meanwhile, 23% enjoy flavored milk as a dessert. Looking for more choices, 14% of Indian regular milk drinkers feel that there are not enough varieties of flavor in flavored milk. “Flavored milk is typically consumed on impulse, with a sizeable population of flavored milk drinkers consuming it as a treat or dessert,” said Kumar.